Naturally, the AV110 can also be used in all the current housings ofthe U-F... series. 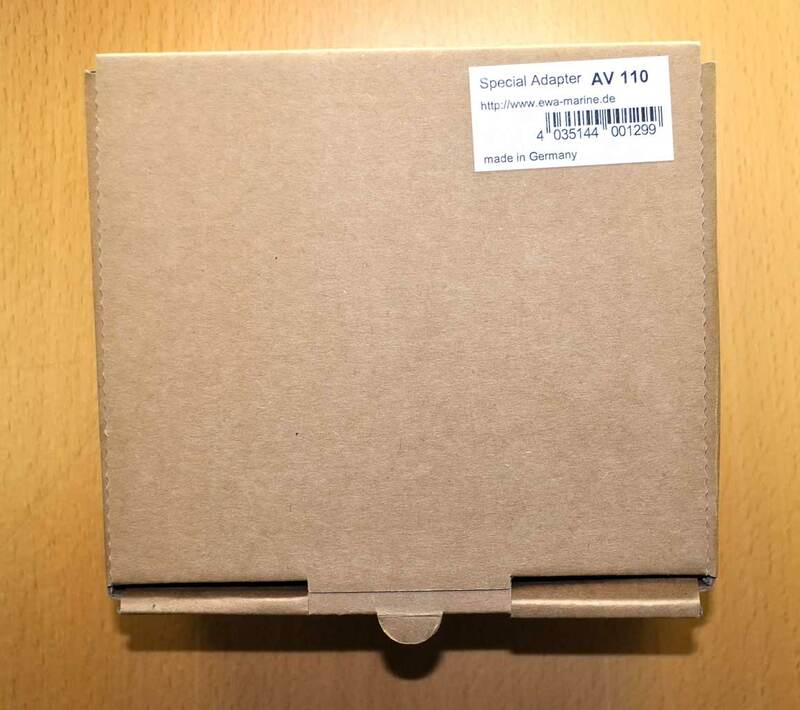 Please note:This asambly is that of the standard AV110, The AV110-P (asused in th ewa-marine U-AXP) and the AV110-L (as used in the ewa-marine U-AZ) differ insome points and and may have different and additional spacers, as required for thesehousings. 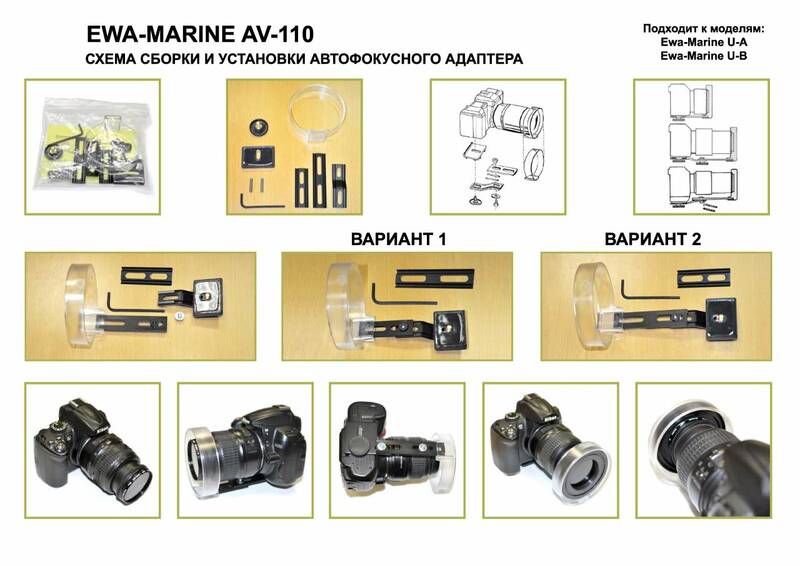 Always assemble the AV110 in such a way, that the center of thecameras lens is directly in the center of the front ring. To achieve this, use thecombination from the above sketch, or, if necessary, use different spacer combinations toachieve the desired result. Always check, that there is enough space between the lens and the front port whenassembled. 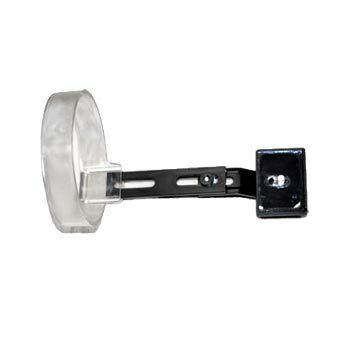 This will be necessary to allow the auto foucs to operate the lens without itactually touching the front port. The distance between the lens and the front port shouldbe, depending on the lens, between 5 and20 mm (0,2 and 0,8 inches).